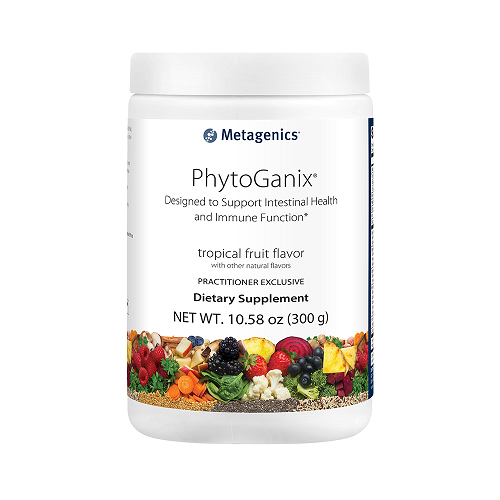 Phytoganix from Metagenics is a uniquely potent and all-natural powder which contains dozens upon dozens of organic plant extracts. 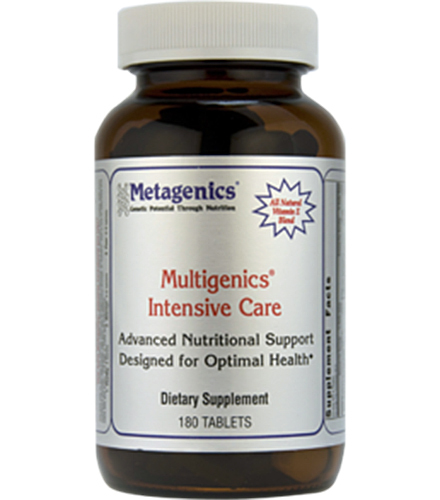 By harnessing the power of phytonutrients, Metagenics has crafted a supplement powder unlike any other. May provide protection and health benefits for the immune and digestive systems. Designed to help the 76% of Americans who do not meet their daily recommended intake of fruits, and the 87% who are deficient in vegetables. Contains organic extracts from fruits, vegetables, herbs, algae, fungi, and more! 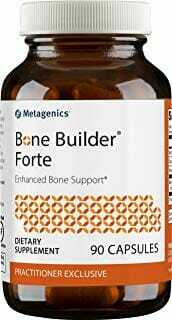 Expertly crafted for maximum antioxidant and anti-inflammatory support. 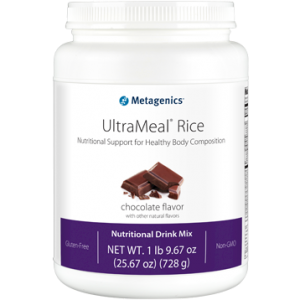 Also includes digestive enzymes and probiotics for further intestinal aid. Milk thistle seed may provide benefits for liver detox. 300 gram bottle of powder provides 29 potent servings. If you’ve ever wondered why it is that fruits and vegetables are prized so highly by nutritionists, then look no further than phytonutrients. The term ‘phytonutrient’ refers to any substance found in a specific plant which may provide health benefits to the human body. Many of the most popular and potentially useful phytonutrients are actually pigments which give various flora their vibrant colors. For example: lycopene gives tomatoes their redness, curcumin makes turmeric root a distinct neon yellow color, and anthocyanins put the blue in blueberries! All of these pigmental phytonutrients have two things in common: Antioxidant and anti-inflammatory support properties. 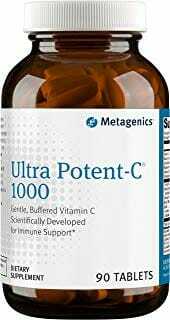 Antioxidants protect cells of the body from infection by neutralizing free radicals, while a healthy inflammatory response is also necessary to neutralize certain pathogens. Anti-inflammatory phytonutrients like curcumin are useful because they may prevent excessive inflammatory responses which can cause pain, digestive complications, and more. By supporting these natural antioxidant and inflammatory mechanisms, phytonutrients may provide significant benefits for the immune system, the health and function of intestines, and more! Note: This product is non-GMO, gluten-free, and vegetarian. Other Ingredients: Natural flavors,† citric acid, and rebaudioside A (from Stevia rebaudiana leaf extract). Take one serving one to two times daily or as directed by your healthcare practitioner. Can be mixed with 8 fl. oz. of water or juice.